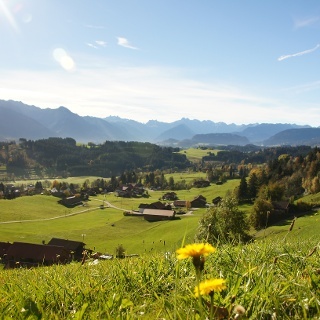 Beautiful circular route over the village of Westerhofen, the Wittelsbacher Höhe with a magnificent view into the Iller Valley and the Oberstdorfer mountains as well as Schweineberg with the mountain cheese dairy. 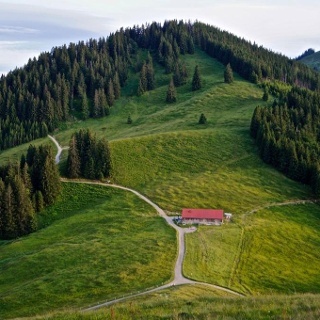 The circular route in the heart of Ofterschwang leads across meadows, through forests, along a stream and over a scenic hilltop with an old tree on top. 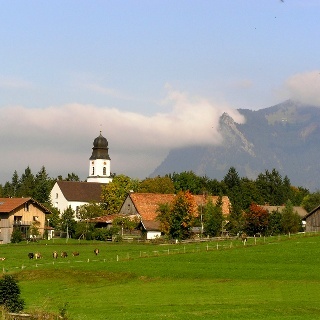 In Schweineberg you can pass the famous mountain cheese dairy. At the parish church of St. Alexander in Ofterschwang you take the path at the back of the parking area and behind the houses. Go down east and take the small alley left to the entrance to the Wittelsbacher Rundweg. 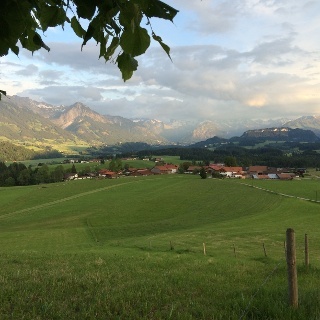 It leads through a charming landscape, along the Tobel towards the village of Westerhofen. You will cross two bridges on the way. After crossing the second bridge, keep to the right until the path forks. From this fork, the path continues towards Schweineberg, past the Wittelsbacher Höhe. 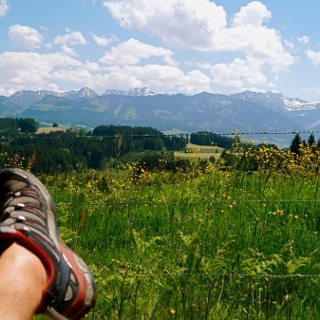 On the Wittelsbacher Höhe it is worth to rest and enjoy the incredible view of the Allgäu countryside. 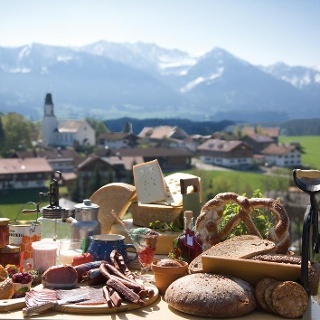 In Schweineberg, a visit to the mountain cheese dairy is recommended. 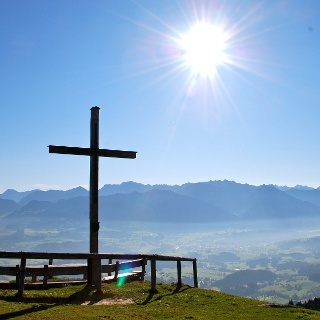 After a nice path acorss a meadow from Schweinberg to Wielenberg, you will return to Ofterschwang. Refreshments: Landhotel Alphorn in Ofterschwang, Bauerngasthof Café Mayr in Schweineberg or a delicious ice cream made of regional milk in the ice cream shop in the village center of Ofterschwang.